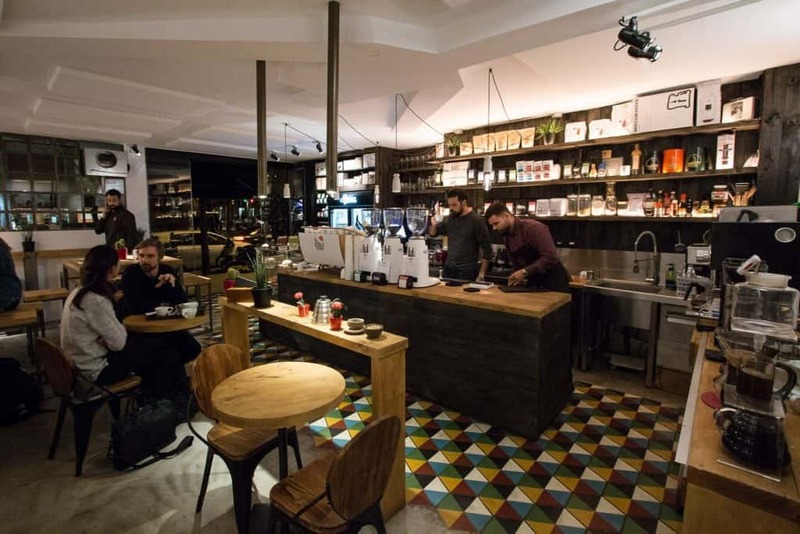 The warm autumnal days of November were the perfect time to explore the coffee scene of Barcelona. Despite a great number of cafes scattered around the city, we managed to see quite a few of them, discovering diverse and unique spaces, be it a cafe, a roastery, or both. Read more details about eight cafes featured in our video guide! Marcos Bortolomé, the owner of Satan’s Coffee Corner, said: “If you made it here, it means you really care about coffee. Because here, it is nowhere to be found. We are in a jungle of buildings, so if you’ve made it, you will have a bigger experience. And it definitely feels like a great find! 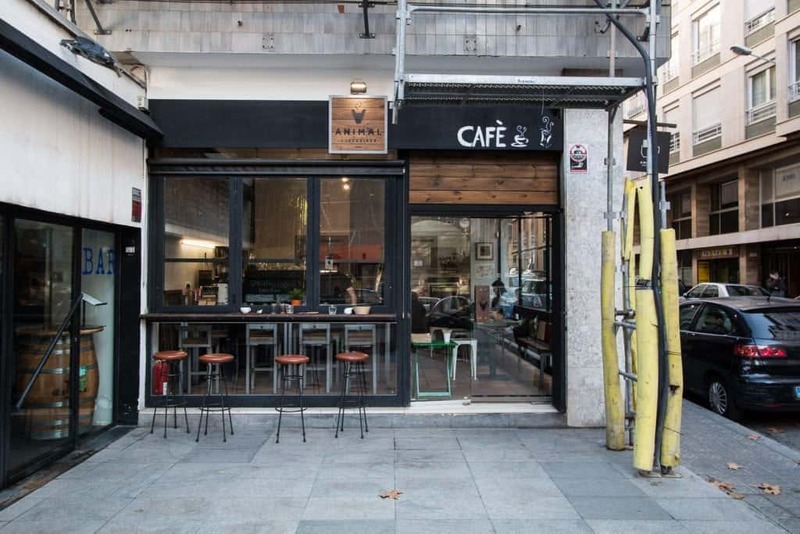 The cafe in the Gotic district of Barcelona took over the whole corner of the building, windows looking out on both of its streets. It is a bright and unusually divided space. The bar is open to the public and to get to your table you have to walk behind it. The Japanese breakfast and doughnuts are definitely a plus, on top of their top notch coffee service. Right Side Coffee is served from their new Slayer espresso machine, as well as on batch brew. All things tasty! 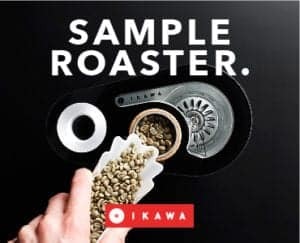 Nomad is an internationally known roaster with three shops across Barcelona, and countless wholesale cafes across Europe. 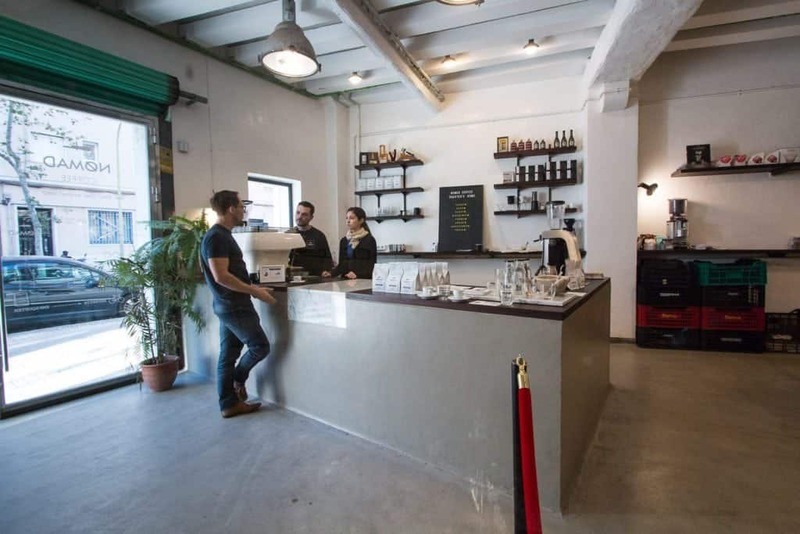 Besides for tasting their Guatemalan espresso at the roastery called Roaster’s Home, in the Sant Marti part of town, we also visited Nomad Coffee Lab & Shop for a quick coffee in their beautiful courtyard. 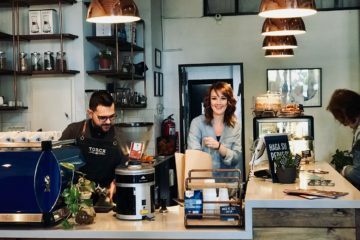 This espresso bar is a walk-in narrow cafe, with almost no seat, but a long bar serving espresso from their La Marzocco Linea machine and on pour-overs. 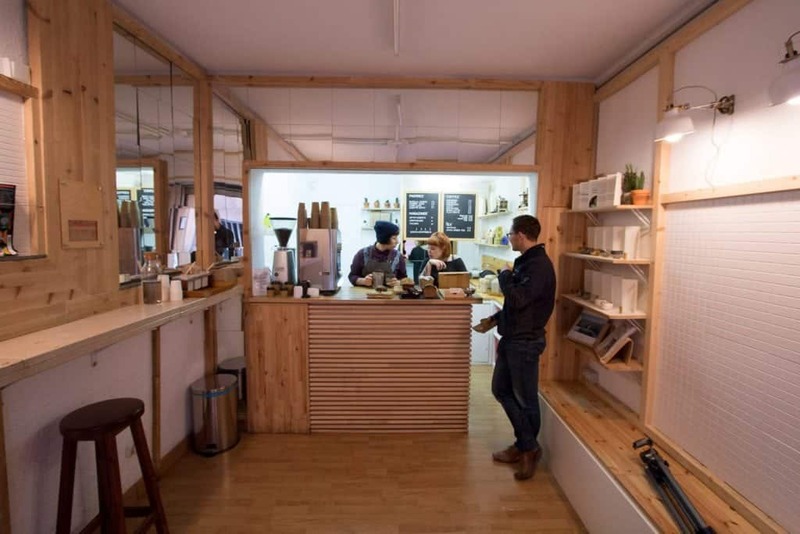 Our first encounter with Nomad though was at their Every Day shop, a cafe set-up in simple wooden furniture, featuring their current espresso and filter options and a simple food menu. Bread and Spanish ham, anyone? 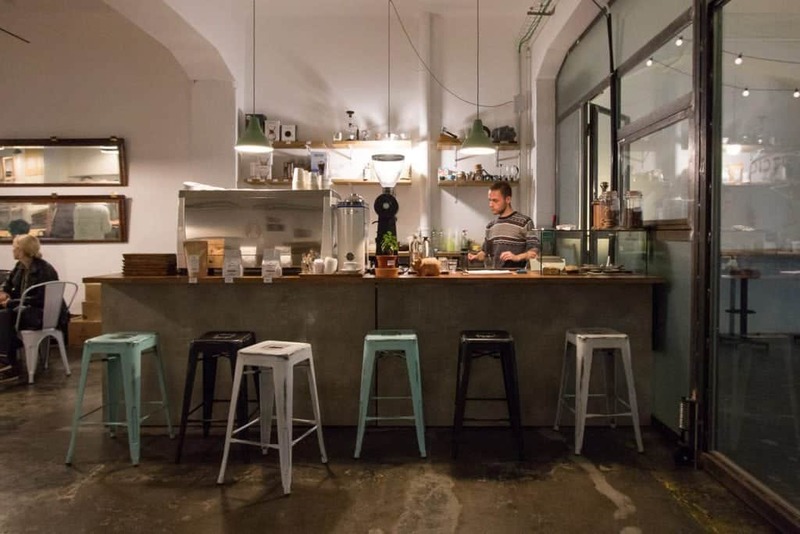 At Nomad Coffee, they roast, serve, distribute, train, play, experiment and advise. And we like what they are doing! 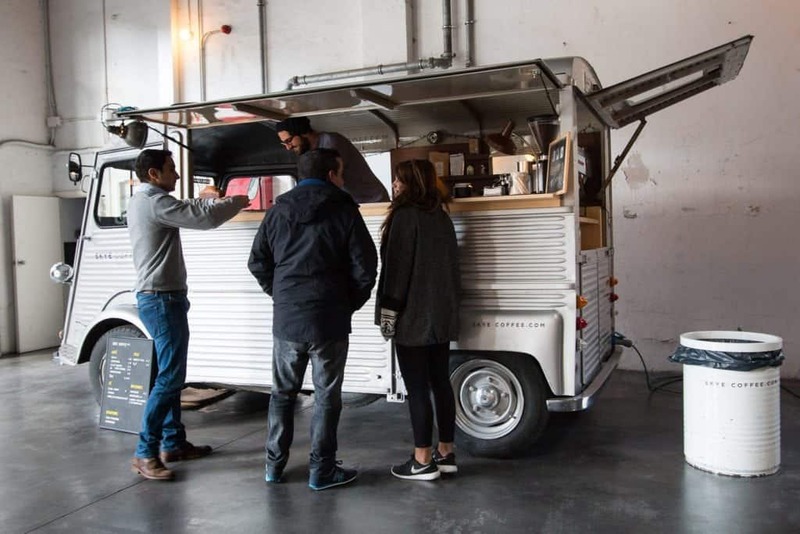 Talking to Skye Maunsell, the owner of the coolest coffee van in Barcelona located in an old warehouse-turned-office space, we understood that Skye is a little bit unusual. 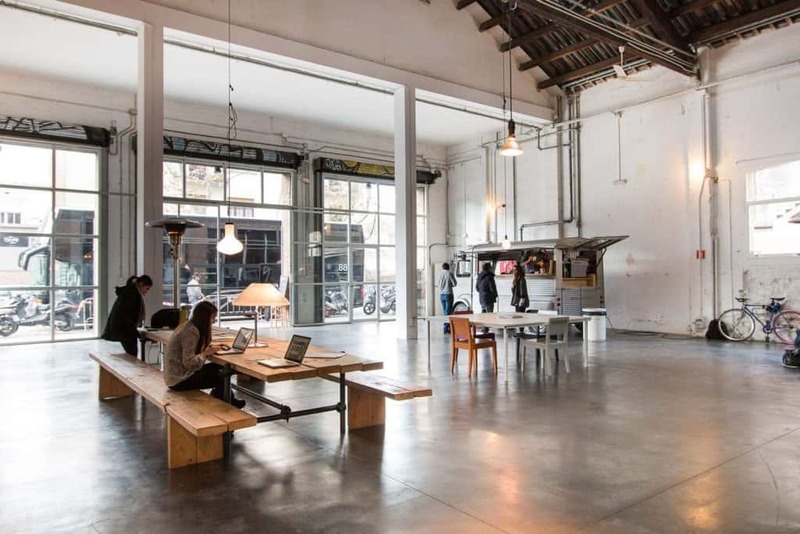 It is an alternative and creative space visited by many people from the surrounding offices in Sant Marti, a district within an industrial part of Barcelona. Go check out their silver CitröenHY van and take a little moment in the beautiful, sunlit space. 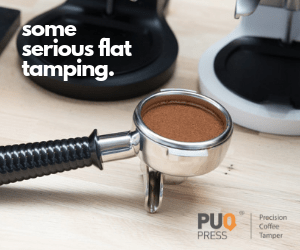 The main motor of this car is its La Marzocco Linea machine, but you can have a V60, too. 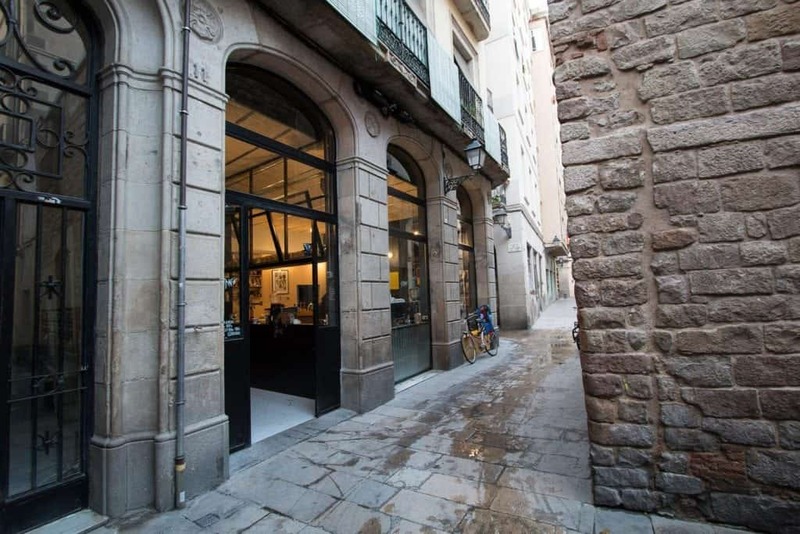 SlowMov is a cafe and a roastery concept store in Gracia part of town, focusing on supplying its customers with local products. 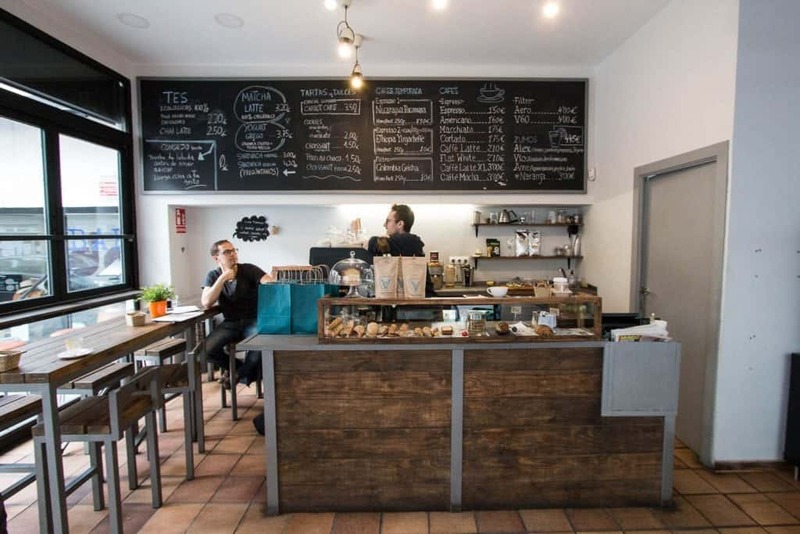 Their roasting is tightly connected to the Parisian Coutume Cafe. 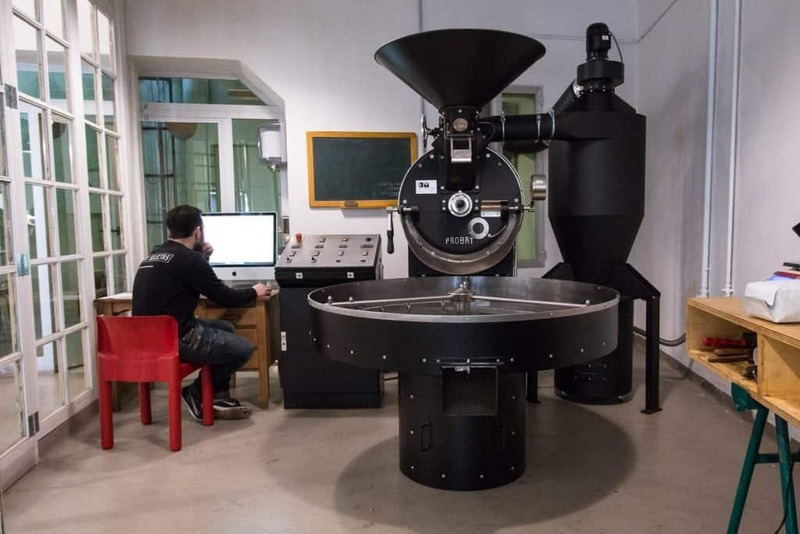 At SlowMov they use the same branding, green beans and roast profiles, but the roasting is done by Francois, in Barcelona. 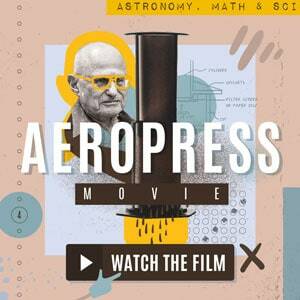 You can learn more about SlowMov’s history and current missions on their blog, although it is only in Spanish. 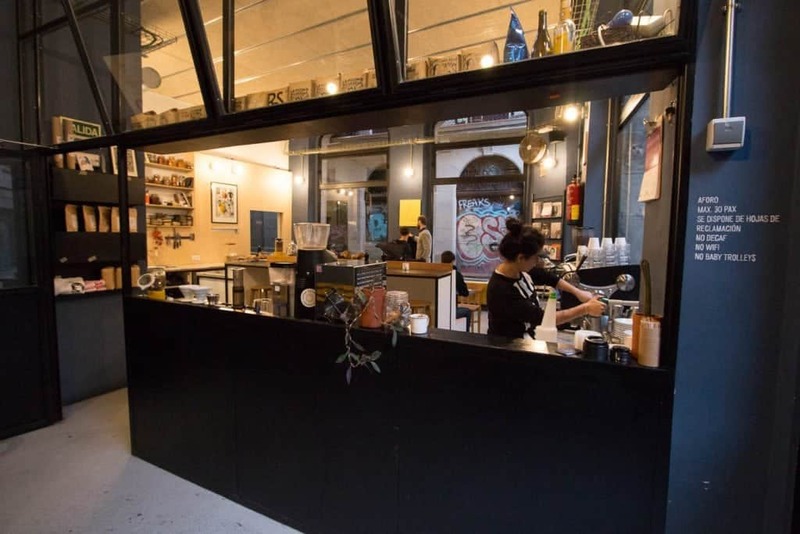 A lovely neighbourhood cafe operates since 2015 in Sarria – St. Garvesi and since 2016 the original team also roasted their own beans. 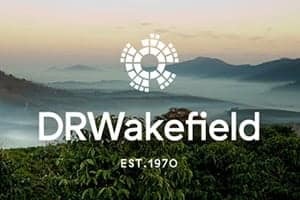 We tasted their naturally processed Ethiopian in a cortado. Cortado is one of the most frequent orders in Spain, yet there is no definite recipe for it. It differs widely in the diverse areas of Spain, and Barcelona itself has got more recipes that we could have potentially tasted. 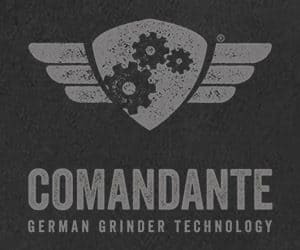 Recently, we have learnt the team has changed though and the new team is serving beans from Nomad Coffee Roasters. We sure would like to pop in and try their menu as well! 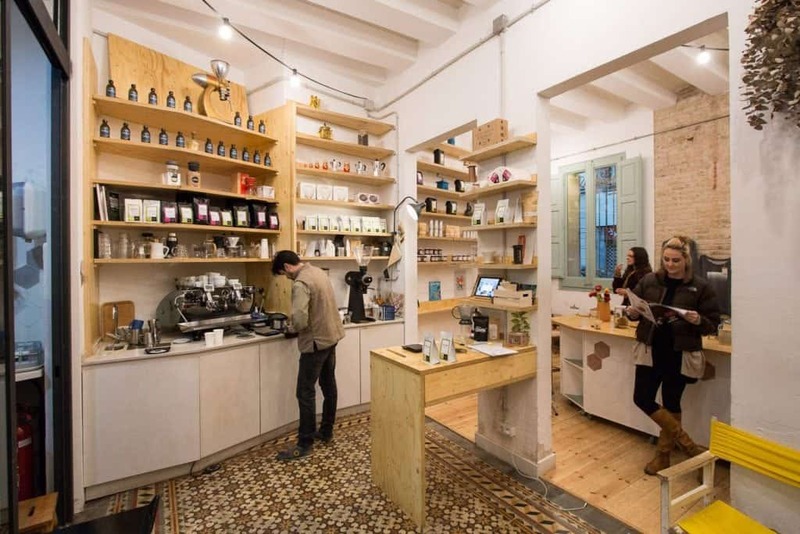 Located in the Gracia district of Barcelona is this takeaway cafe where we met with one of the baristas, Beatriz. She is also behind the creation of the coffee blend we had a chance to taste here. And although it is mainly a takeaway shop with a limited space, its warm service and wooden furniture definitely invite you to stay longer. 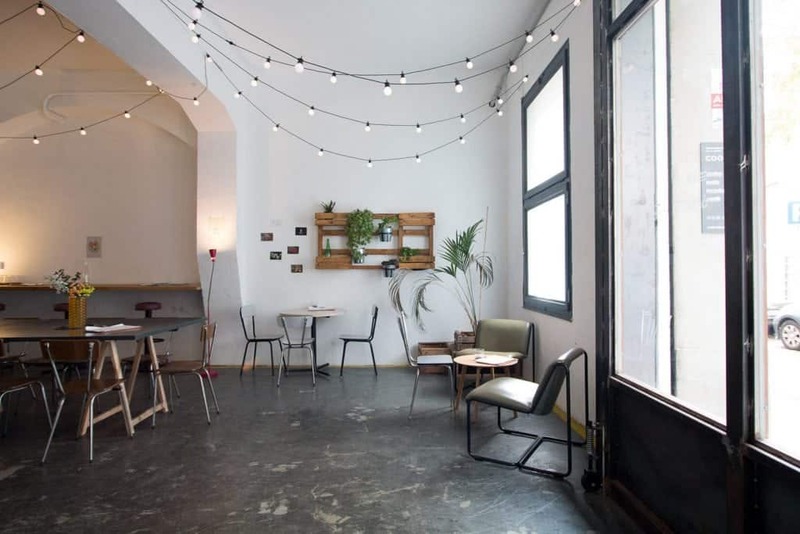 We continued our tour of Barcelona at Atmans Coffee, a cafe within a creative kitchen and coworking space, run by Miguel Lamora Bárcena. 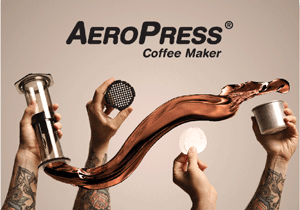 Miguel is one of the major contributors to the coffee scene in Spain. 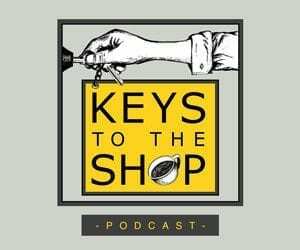 A champion barista and SCA Spain member, he is one of the most respected coffee people in Spain. During our visit, Miguel served Right Side Coffee on Aeropress or V60, and his white Aurelia II T3 Nuova Simonelli coffee machine was the heart of the cafe space. COOCCIÓ, the building in which Atmans used to be located, hosts a shared kitchen space for all creative minds. It was also the location of the main presentation day at CoLab: Barcelona. As of last month, Miguel is no longer brewing coffee here, unfortunately. He closed down his cafe space at COOCCIÓ and is now onto other coffee projects as the president of the Spanish SCA. We might hear about it soon. At the time of our visit, this cafe was only five months after opening, but it had already gained popularity. Be it because of their great selection of coffees from all around Europe, or because of their hot drink alternatives. 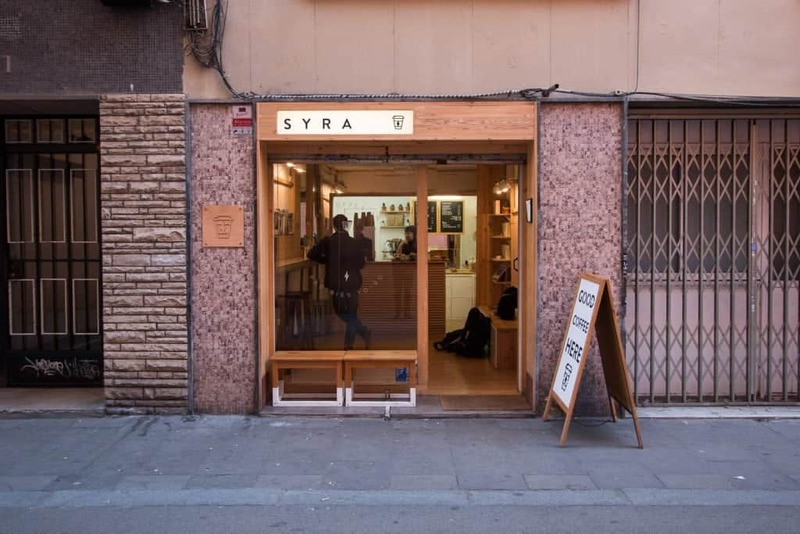 Besides the cafes we featured in our video, we had the following on our list of recommendations.Essential members of the growing speciality coffee community in Barcelona, or perhaps a quality service restaurants and cafes with tasty menu, we haven't had the chance to properly explore all of the following establishments. Lock them into your Barcelona guide. La Esquina for a set menu lunch or dinner, with good coffee. Cafés El Magnífico roasting since 1919, Onna Coffee to explore a large selection of brew methods, in the Sun, Oriol Balaguer is a must-go for a delicious croissant in the area of Atmans Coffee. Federal Cafe for a breakfast nearby the beach and finally, Cafe de Finca's roasts at Orbea Campus Cafe for a fusion of cycling and coffee. We really enjoyed the warmth of Barcelona and would have loved to spend more days in this beautiful city. 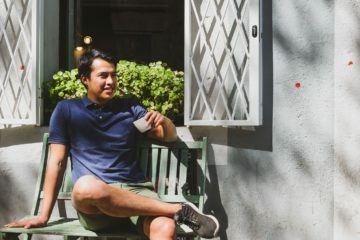 There is definitely more cafes worth visiting!